Welcome to the Fictitious Rock and Roll Hall of Fame! 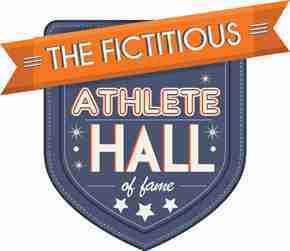 Like our sister website, the Fictitious Athlete Hall of Fame, this website allows you to decide just who is the elite in the fictional world of Rock and Roll from Television and Film. With that said, as we delved deeper and deeper into the world of fictional music, we have found that the lines that blur between what is real and “fake” are as ambiguous as the musical genres that they strive to represent. As such, we initially struggled to determine what the criteria for the Fictitious Rock and Roll Hall of Fame as many “fake” bands actually perform in the real world, many have had real Billboard hits and some have achieved popularity that 90 percent of real bands only dream of. Fabricated bands can become real, real artists have made virtual ones and in an era of lip-synching and Autotune, many music fans have openly questioned just how “real” the music is that they are listening to in the first place. Again, like our Fictitious Athlete Hall, depictions of real musicians do not qualify. Also, like the Fictitious Athlete Hall, you, the voting public, will decide the inductees for this Hall of Fame annually. Of the 500 plus Preliminary Nominees, you will be allowed to select 20 who you feel deserve to make the next round. There will only be one vote allowed per round and voting will be open until January 15, 2015. The top 25 vote getters will make the second round; our Semi-Finalists. Once the Semi-Finalists are announced, voting will be cleared and you will be permitted to vote again. In this round you will vote only for 5 of the 25 Semi-Finalists. Voting will be open until April 15, 2015. The top 10 vote getters will be make the third round; our Finalists. Again, voting will be cleared, and you will be permitted to vote again. Once the 10 Finalists are announced, you will vote for your favorite 3 Fictitious Rock and Roll acts. The top 3 vote getters will be announced on August 1, 2015, and will be the inaugural Class for the Fictitious Rock and Roll Hall of Fame, and the process will begin again to determine the Class of 2016. As always we here at Notinhalloffame.com, The Fictitious Athlete Hall of Fame and now the Fictitious Rock and Roll Hall of Fame welcome your votes and input.